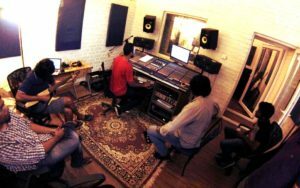 Thermal and a Quarter (TAAQ), one of the biggest names in rock from Bangalore has released seven studio albums till last year. They have opened for big, international bands including Deep Purple, Guns N’ Roses and most recently, The Dire Straits Experience. The three members of TAAQ are Bruce Lee Mani (guitar and vocals), Rajeev Rajagopal (drums) and Leslie Charles (bass). Read on to hear Bruce Lee Mani’s experience recording at Audio Academy. We have been associated with Niranjan since 2008, long before he began Audio Academy. Our album 3 Wheels 9 Lives was recorded in our studio and mixed in his home studio and our seventh album No Wall Too High was recorded in Audio Academy and mixed at our studio. Working in a studio during a recording for a musician tends to be a very unnatural process. Getting the creative process going in a situation like that isn’t easy by any stretch of imagination. There are the pressures of getting everything right, making sure the takes are great because you’re also paying the studio by the hour. In this type of scenario, if you have to work with a bunch of unprofessional people, then it can easily amp up the already high pressure. One of the most amazing things about working with Audio Academy are the guys there. It is a completely tension-free crew to work with. Extremely professional, they are great at already having everything ready when you arrive for a recording. Also, there are not hassled if something has to be changed last minute and there never is any unnecessary stress. Also working with Niranjan is great. He will show up, do a fabulous job and leave. He is very low maintenance. In this business, dealing with high maintenance people and processes can get wearying after a while, so it feels brilliant to have a space where the resources are top-notch and the processes are smooth and easy. For any recording space to be considered great, besides the obvious elements such as good equipment and a space with great acoustics, the studio crew can be a big deciding factor. The real value-addition of working with Audio Academy is that it is so stress-free. 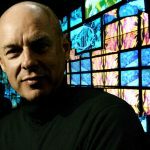 Especially if you consider young musicians, who probably would have saved for months to be able to hire the recording studio, the process can be a high tension one. If things aren’t going as smoothly as they hoped and they aren’t nailing the takes, having a bunch of guys who are really calm and peaceful can ease the otherwise painful process. If you are looking for a great place for a studio recording, get in touch with Audio Academy and let us help you out.